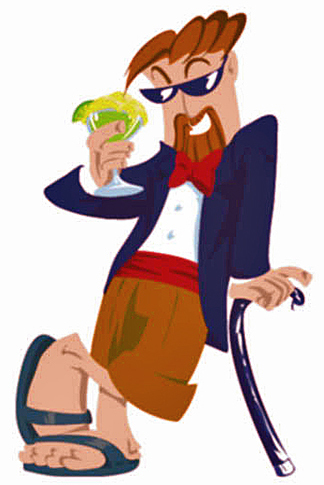 Cool Daddy's has been known as the King of Frozen Drink Machines and Production for over 15 years in the Greater Atlanta area. We are happy to announce that Cool Daddy's is now a division of Slushie Spot, clearly making us the largest frozen drink machine rental company in the Atlanta area! That means we can handle any size events from the biggest music festivals to the smallest children's birthday party. Our commitment is to deliver high quality machines, the best products and top notch service to ALL of our customers both small and large. 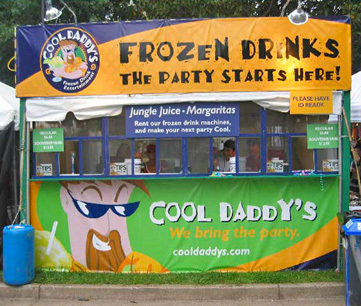 Cool Daddy's has a long history of innovative frozen drink systems and techniques that allowed them to work at high profile events like Atlanta's Music Midtown Festival, the Olympics, Two Atlanta Super Bowls, the On the Bricks and Downtown Rocks Concert Series and many, many more. When event planners, caterers or restaurants want a frozen drink machine provider they trust that can deliver the capacity needed - they turn to Slushie Spot's Cool Daddy Division. We have worked many prestigious venues like the Tabernacle Music Hall, the Chastain Amphitheater and the Georgia Dome. When the event is important to you and your group count on us to create just the solution that you want. Corporate events, weddings, anniversaries, chambers of commerce events, trade group events, club events and holiday parties are all things that we have extensive experience with. Why Choose Slushie Spot's Cool Daddy Division? • We Can Set Up Anywhere!